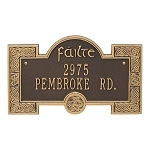 In response to our customers' requests, we've located some quality plaques that show the family name. 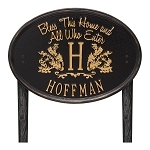 All of them say "Welcome" in a special way. 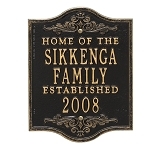 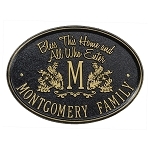 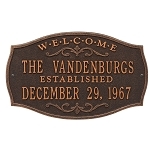 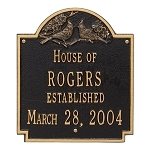 These make great Anniversary and Wedding plaques as well as historical, club, or building plaques.